To commemorate this date, the RMP Publishing House (Rybinsk) with the facilitation of the Rostec State Corporation released an album book under the title “Alexander Leonidovich Dynkin. A dedication to the 100th birthday of the aviation engines designer”. A dedicated presentation took place today, on September, 17th, at the exhibition hall of the NPO Saturn museum. 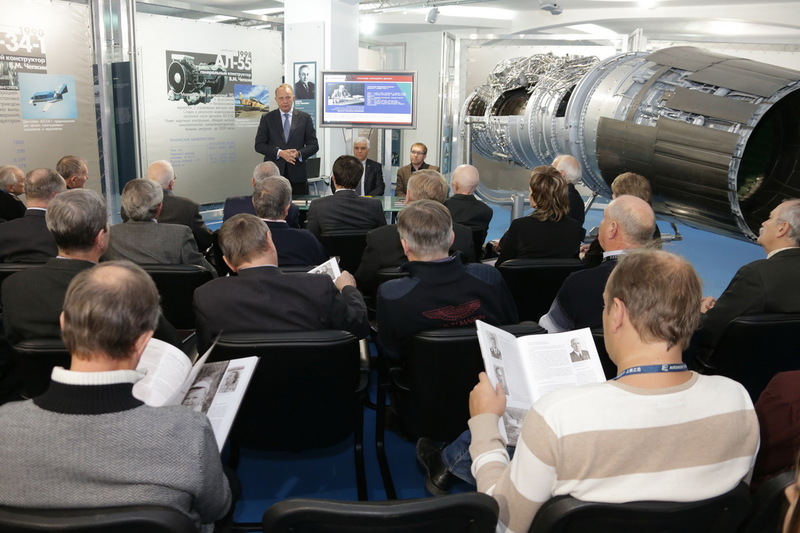 The presentation was attended by the book authors and compilers - Mikhail Lukichev and Natalya Shaulskaya, and also by the guests of honor - Alexander Dynkin, Mr. Dynkin’s son, an academician of the Russian Academy of Sciences (RAS) and the director of the RAS’s E.M. Primakov World Economy and Foreign Relations Institute, Victor Polyakov, NPO Saturn CEO, Yuriy Shmotin, NPO Saturn general designer, the company’s veterans and young engineers as well as the principals of local schools. 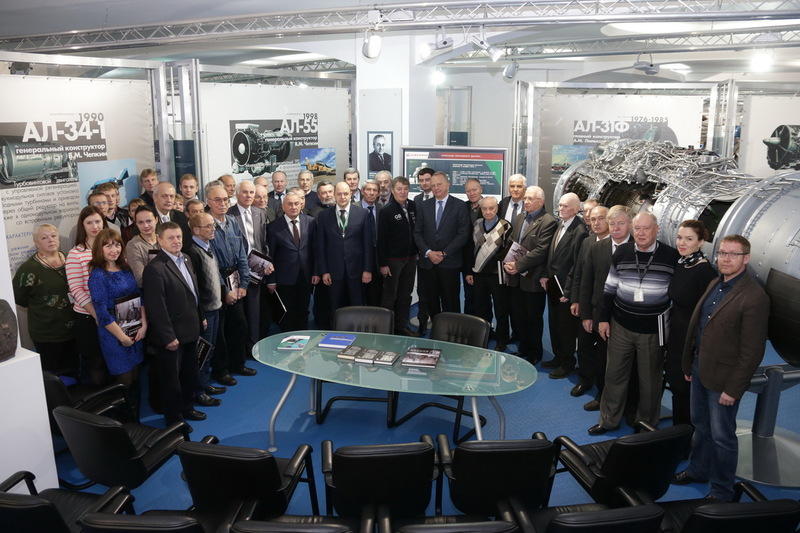 A graduate of the Moscow Aviation Institute, Mr. Dynkin for a total of 59 years (1939 - 1998) had dedicated himself to the NPO Saturn design bureau having gone all the way from a junior design engineer to the first deputy of the head of design. Under the direct participation and leadership of Alexander Dynkin the Rybinsk design bureau devised the engines for the aircraft designed by Tupolev, Myasischev, Sukhoi, Mikoyan, Yakovlev, Beriev and Antonov which have set 64 registered world records. For his creative contribution to the design of new engines Alexander Dynkin was twice awarded the State Prize, the Distinguished Aviation Engine Designer title, the Order of Lenin, the Order of the October Revolution, the Order of the Red Banner of Labor, the Sign of Honor and received a number of other state decorations and prestigious awards. 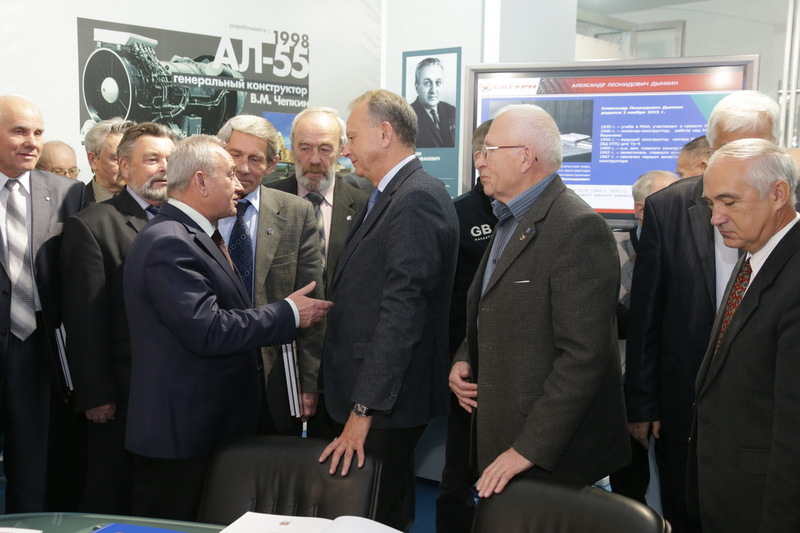 Back in a day, guided by his own experience, his knowledge of people and things, he had collected some unique files on the history of the Rybinsk design bureau which were later included in a book titled “An airplane starts with the engine” (Rybinsk, 1995 - 1999). Published in three volumes, the book was critically acclaimed by the company’s veterans who’d witnessed the events described in Mr. Dynkin’s book. 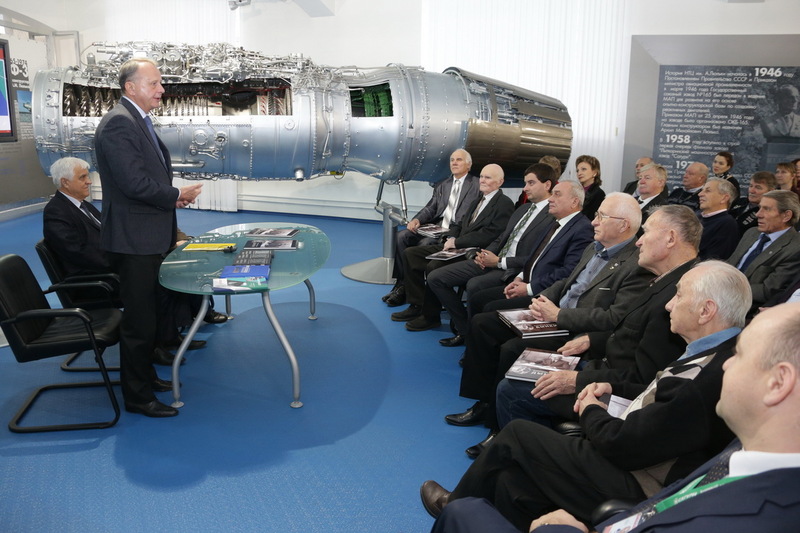 “Turning the pages of my Dad’s “An airplane starts with the engine” every now and then, I eventually figured out that it contains the biographies of 402 workers of the Rybinsk design bureau ranging from the management to laymen. But his own persona was nowhere to be found in that book. The idea to close that gap in an attempt to preserve the memory of the generation of designers who were creating the country’s strategic power found support of Sergey Chemezov, Rostec CEO, - shares his son Alexander. - The book turned out to be a bit personal as it contains some facts about Mr. Dynkin’s design projects, but most importantly, it narrates how he was evolving both at work and in life. I’m proud of my father. I’m grateful to you for your remembrance; I wish a lot of success to your design bureau and wish to see it continue to progress. My Dad would have been glad to see all these new facilities I’ve seen here today, the new people and the new programs carried out by your design bureau. It’s worth noting that the book “Alexander Leonidovich Dynkin. 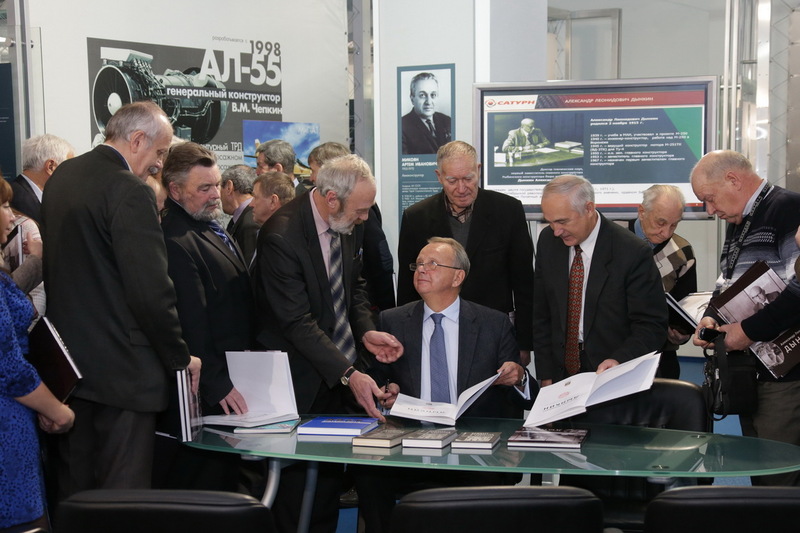 A dedication to the 100th birthday of the aviation engines designer” has deservedly claimed its place among other historical albums published by RMP and dedicated to the extraordinary people of NPO Saturn (“General designer A.M. Lyulka. A dedication to the 100th birthday”, “General designer P.A. Solovyev. About my time and myself”, “General designer M.L. Kuzmenko. How to become an engineer” and “Derunov”) and among NPO Saturn’s corporate editions dedicated to the company’s design division (“Saturn 2014. A link between generations. The design school” released to commemorate the 75th anniversary of the Rybinsk design bureau and “Going ahead of his time”, a book dedicated to the 100th anniversary of the chief designer of the Rybinsk design bureau P.A. Kolesov).